When it comes to transportation there are thousands of options for getting from point a to point b or even multi locations. There are many rental car companies that offer many variety of rental cars for families to utilize as a personal vehicle while on vacation. When you choose the rental car option you may save a couple of dollars by doing the driving yourself, but when it comes to being on vacation and you are driving you are technically still working on having to concentrate on road conditions and directions. The next popular option and not the most practical is the shared ride shuttle option of splitting the cost of your transportation with other passengers and riding in a large bus or van with multiple different stops along the way or even out of the way sometimes. The most common option and definitely not the most efficient or reliable is a Taxi service. This option means you have a regular cab with a driver that operates on a meter and takes you from point a to point b and the meter decides what you pay for that service. 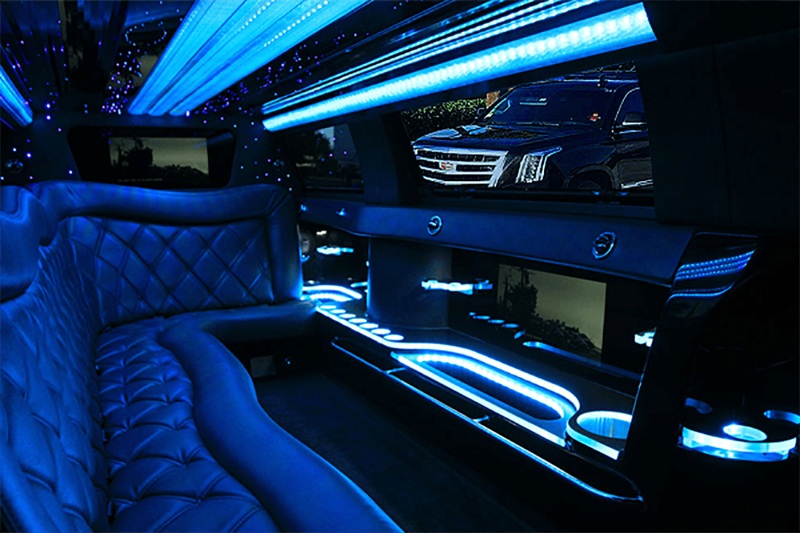 The best option from transportation services is the pre-arranged ground transportation offer from a limousine provider. This may not always seem like the most economical option available but when you do your final calculations you will find it to really be. A limousine service has many different options of vehicles available to tailor your services to meet your needs. Just like when you have a custom suit or dress made to your exact size. You start out by choosing the right size vehicle for your family and the locations of your travel. Once you have decided on the vehicle or multiple different vehicles or even mix and match for each occasion. Provide us your preliminary details of transportation needs for your stay in Florida. Then we design the most efficient pricing options available to meet your needs. We provide every type of service that you can imagine. Multi point transfers (Scheduled pick-up time, location and destination. Many different transfers all same day or multiple different days. When looking for a trip from the Orlando Airport to your vacation destination we can provide you a transfer flat rate. This rate includes all the taxes, tolls and any fee's that could be incurred on providing you the service. So this way you always know what you will be paying and not have any unexpected surprises. Also when you utilize a flat rate transfer we will arrive at your desired pick-up location a few minutes before your scheduled pick-up time and be awaiting you just outside the front door. Airport arrival's are a breeze with our professional ground transportation service's. We monitor your flight's information with sophisticated tracking software and provide you complimentary "meet and greet" service with your name on a sign at your airlines baggage claim. Deciding on your options for transportation services in Orlando could be complicated and with OCS-Orlando we want to answer any questions you may have an provide your family with the ultimate luxury transportation service. Your experience is 100% our concern. We set standards on all vehicles allowed to be in our fleet and chauffeur's allowed to cater to our guests. All our customer service representatives must under go sophisticated training in customer service and be totally knowledgeable with all the answer's that any guest may have. Get Rates for Orlando Transportation & More!